The City-Building fun of CityVille comes to life! 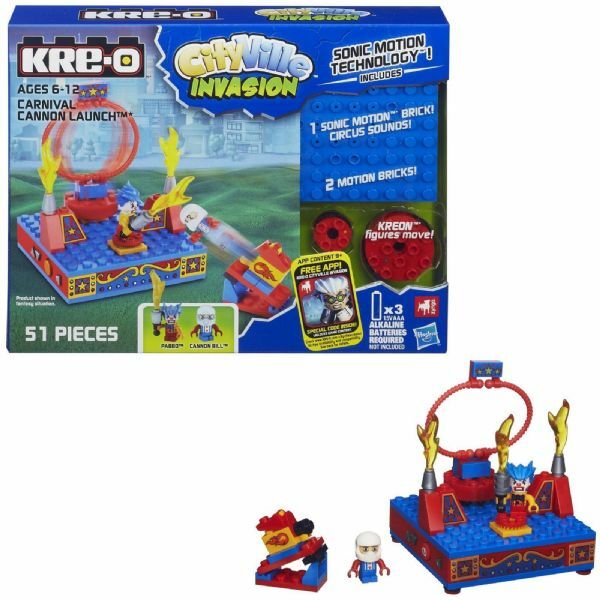 Build your own city with the CityVille Invasion Kre-O sets and defend it from invasion. 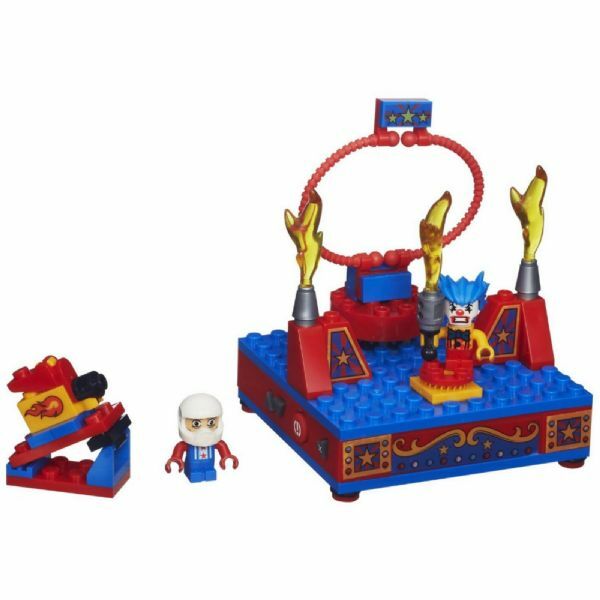 You can use the 51 pieces in this Carnival Cannon Launch set to build a flaming carnival with a cannon launcher. Will your Cannon Bill figure survive his latest trick? Not if your Pabbo Kreon figure has anything to do with it! 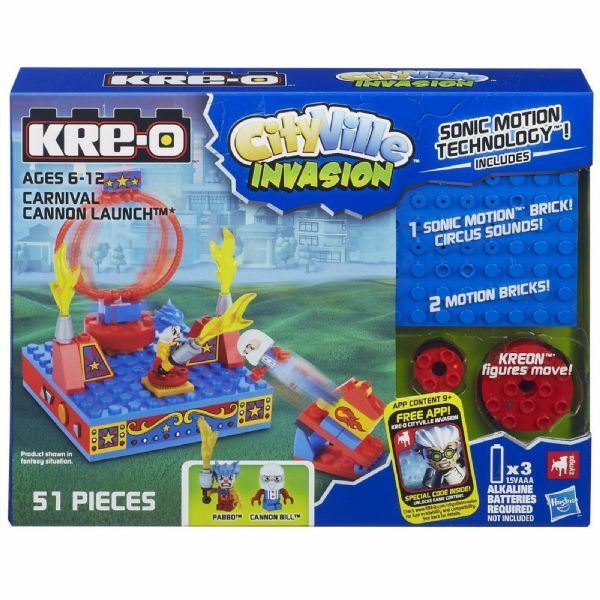 Launch Cannon Bill through the ring and find out.The set's Sonic Motion brick makes real circus sounds! Use the 2 motion bricks to make your Kreon figures move. Have some high-flying Cityville adventures with the Carnival Cannon Launch Set!